Looking for the most searched for words on Google? Your search is over. Using our Free Keyword Tool, we’ve pulled the top keywords in your niche. From accounting, to entertainment, to school education; whether you’re looking for PPC keywords or SEO keywords--we’ve done the heavy lifting, all you have to do is find your topic! Use the below links to find the top keywords for your industry or concept of interest.  If no one link fits the popular keywords category you’re looking for, feel free to use our Free Keyword Tool to find the keywords right for you! 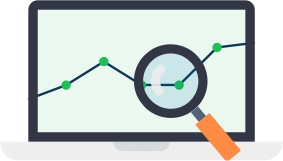 We’ll also give you useful metrics like keyword competition, cost-per-click, and Opportunity Score to help you find the most valuable keywords for your PPC and SEO campaigns. Popular keywords and high-volume key phrases seem pretty straightforward, from a search perspective. You target the terms in organic search optimization and through your pay-per-click campaigns, and acquire as much of that Web traffic as possible. Then move on to the much more complex task of managing the long tail of search, right? HIGH COST AND HIGH COMPETITION - If you know that a term gets searched on a lot, chances are a lot of other people do too. The market is flooded with free to cheap keyword research services which offer anyone with Internet access the same list of competitive keywords you're targeting. BROAD PHRASES HAVE QUESTIONABLE INTENT - For a phrase to get a lot of search volume, it typically has to be a short key phrase. In fact, it's often the case that the most searched keywords on Google have multiple meanings. It's difficult to target a term (particularly as you pay for each click) when a fair number of searchers are after something slightly to wholly different than what you're offering. All of a sudden your "high-volume keyword" offers slightly less relevant traffic for your business. A SHORT LIST OF KEYWORDS IS A STAGNANT LIST OF KEYWORDS - While the long tail is extremely fluid and unpredictable, the most popular keywords are far more stable. 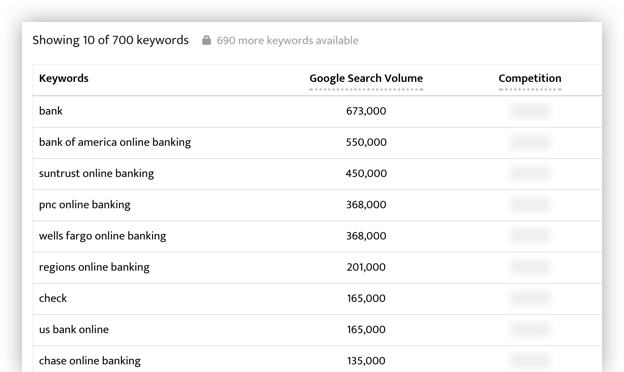 These keywords' search volumes rarely change, and focusing a search campaign around acquiring this traffic can quickly lead to traffic plateaus. But, for all the buzz surrounding long-tail keywords, there's still a lot of traffic in the high-traffic, most searched words (go figure). So the question becomes how to attack high-volume keywords within your search marketing campaign. That's precisely what we'll deal with here. Popular keywords are often the most expensive keywords. This is because, as we mentioned, the traffic-driving keywords aren't a secret. Your competitors know about them, and are likely bidding them up. For this reason, if you want your AdWords ad to rank for a popular keyword, you'll need to improve Quality Score in order to lower the amount you're bidding on it within your pay-per-click campaign. RAISE YOUR CLICK-THROUGH RATE – Your ad’s click-through rate (CTR) is one of if not the most important factors in your Quality Score and therefore has a huge effect on your cost per click (CPC). Some proven ways to improve CTR include writing keyword-focused ad copy that appeals to searchers on an emotional level, and making use of all the ad extensions you can, such as sitelink extensions. DO REGULAR LANDING PAGE OPTIMIZATION – Your landing pages should be focused and highly relevant to your keyword and ad. If an ad is relevant to a query, a searcher is more likely to click, and if a landing page offers similar messaging to the ad they just clicked on, a searcher is more likely to convert. Some free keyword research confirms that these are high-traffic keywords. So, what do we do with them? The problem is, these words aren't closely related. If we attempt to cram these three words into a single Ad Group in AdWords, we'll get slammed on Quality Score and will have to pay a lot every time someone clicks on our ad. A better idea is to give each term its own group. Better yet: while we're creating a keyword group for each of these terms, why not surround it with keywords that search engines will view as closely related? We'll also want to make sure that these keywords are all linguistically similar: that way, we can easily write ad text variations that speak to the entire Ad Group. You can use the Free Keyword Tool to find other keyword terms that are closely related, starting with the most popular keywords. You can then download the full list of keywords in a CSV format that you can upload right into AdWords! Remember: While it seems counterintuitive, focusing only on popular keywords isn’t enough. As an SEO strategy, it’s extremely difficult to drive traffic through popular keywords alone, because the competition is so high. The same goes for paid search. And either way, for healthy growth you’ll need to target mid- and long-tail searches. GROW YOUR AUDIENCE - It's important to overcome the stagnancy of the traffic metrics associated with a handful of the most popular keywords in your vertical. DON'T WASTE MONEY ON UNQUALIFIED TRAFFIC - It's equally important that you don’t waste all your advertising budget by bidding on irrelevant, costly keywords that don’t have high intent and don’t convert.